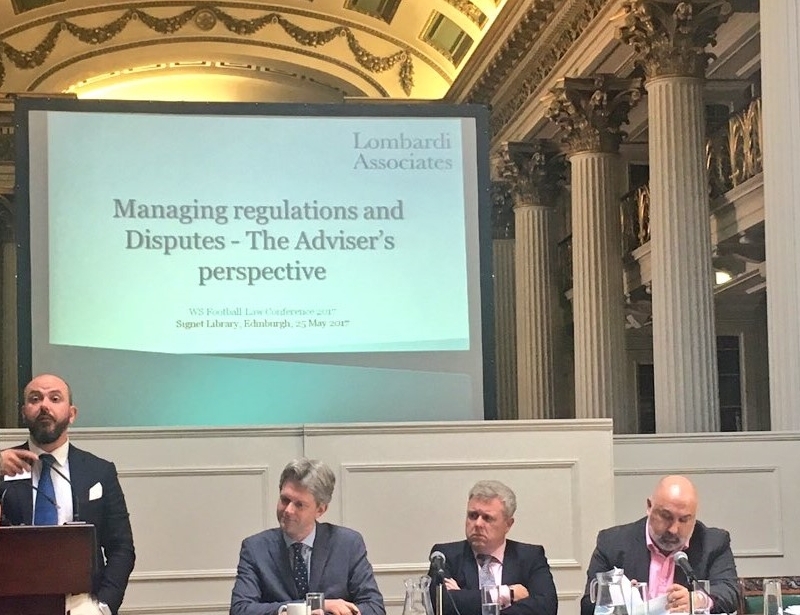 As part of the educational programme of The WS Society, Paolo Lombardi lectured at the WS Football Law Conference 2017 held at the Signet Library in Edinburgh. The conference was moderated by Alan Pattullo, journalist at The Scotsman. Other speakers were Omar Ongaro, Head of the Players' Status and Governance Department of FIFA; Andrew McKinlay, Chief Operating Officer at the Scottish Football Association; Tony Asghar, Managing Director at Revolution Global Sports Consulting Ltd.